Congratulations to Justin Braun, this year’s recipient of Hockey East’s best defensive defenseman award. In all of the craziness surrounding Wellman, Marcou, and Irwin it’s easy to forget that we’re also saying goodbye to a senior class that has done so much for this program and dedicated themselves to UMass for all four years. No one has probably exemplified this more than Braun who has performed at an elite level all the while leading the team with a quiet professionalism. I cannot wait to see him in a Sharks sweater in the near future. 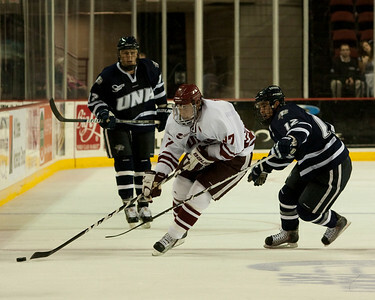 NHL.com has this feature on potential college free agents, including Marcou and Merrimack’s Stephane Da Costa.